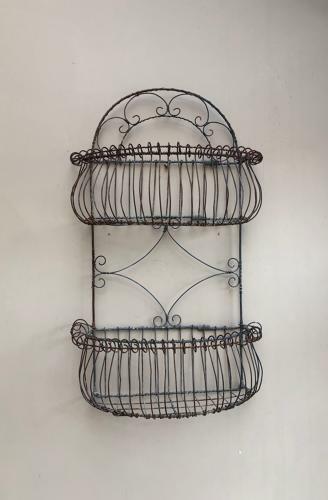 Such a pretty wire work wall hung shelf. Sold to me as c.1920 I think it is more 1940/50 but still a very good hand made example. Large but can be posted in a good size box Parcel Force 48 for £15.